We offer mailboxes in every shape and size, and our experts can help you choose one to make the perfect statement for you and your home. 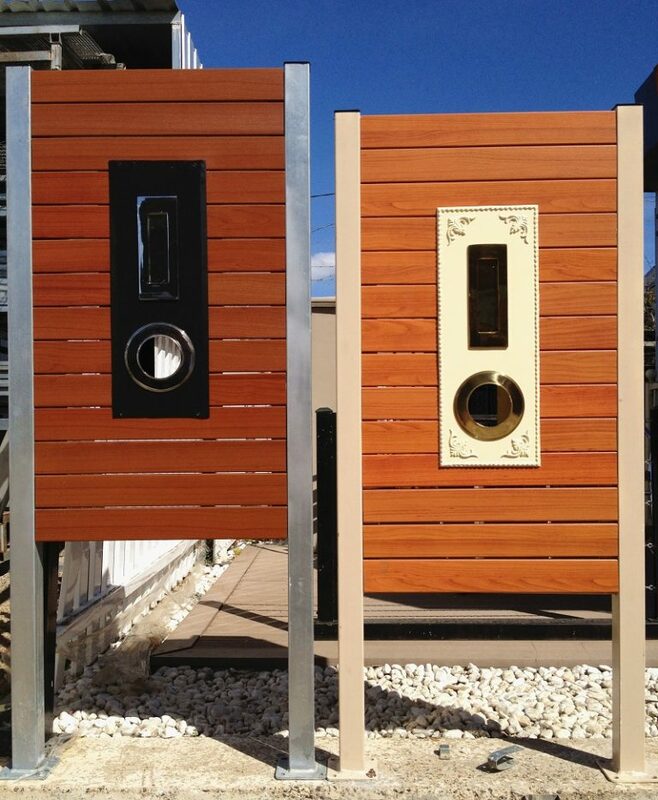 The right mailbox can bring out the best of your façade and add instant value to your large investment. We can help you install a standalone feature, or set your front yard alight with an eye-catching letterbox as part of a stunning fencing design. Classical designs can give your home a bit of class, modern styles can bring out the best of your contemporary build, or you can go for a pillar or sandstone finish to draw attention in the best possible way. Whatever the look you’re going for, Everlast can work with you to achieve it. Everlast have a wide range of mailbox styles and other fencing supplies that mean you never have to shop anywhere else. We have over 20 years experience designing, fitting and recommending the perfect fencing to happy home owners in the Western suburbs of Melbourne. Visit our showroom in Hoppers Crossing for a full glimpse at what Everlast have to offer. Have a browse, or ask our experts how they can help you find a mailbox you’ll be proud of. Why Choose Everlast For Mailboxes? We have over 20 years of experience in landscaping and fencing supplies, so we know all there is to know about assisting customers to create amazing results with their homes. Our cutting-edge factory in Hoppers Crossing manufactures all of our steel products on site. Because we sell as wholesalers, all of the savings are passed directly to you for the best prices. Everlast always puts workmanship first. Our highly qualified tradesmen are experts in their field, so you can be guaranteed your job will always get done and look great. We’re more than just your fencing supplies experts. Everlast also provides quality decking, concreting, landscaping and more to customers in Melbourne. We also supply a range of slats and other materials for your DIY projects.